We may be biased, but we think that Philadelphia is truly one of the most beautiful cities in the United States. It is filled with old-world charm, rich history, and a contemporary artsy vibe that many adore. 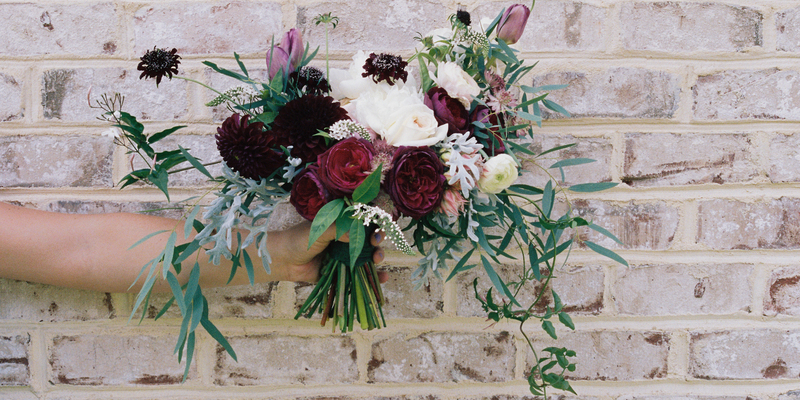 Aside from the well-known areas like Love Park, Rittenhouse Square, and the Schuylkill River Trail that many folks seem to flock to for engagement and wedding photos, there are some hidden gems that we think are equally, if not more beautiful to set the stage. This historic hidden gem is one of the nation’s oldest streets dating to 1702. The oldest home on the street was built in 1728! 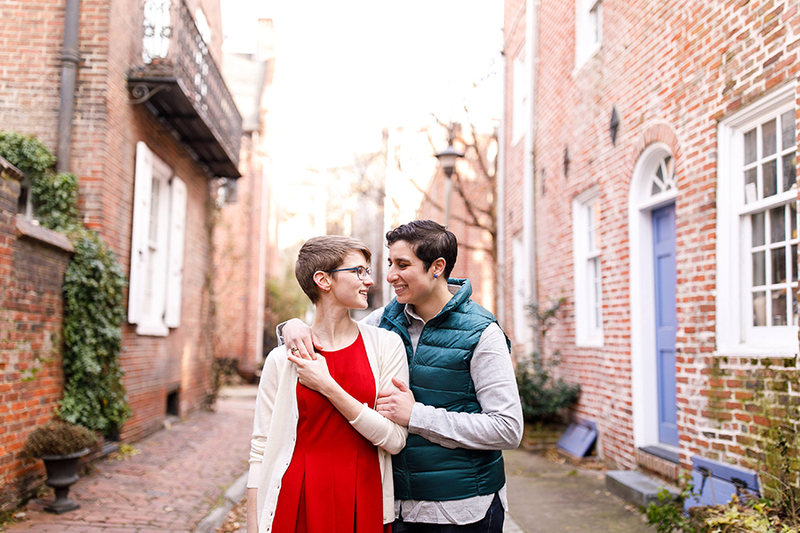 Located between Second Street and the Delaware River, this narrow road provides the perfect backdrop for taking engagement photos with the beautiful brick homes and cobblestone road. Pro tip: Hit the street at sunrise to avoid the tourists and to catch that beautiful dawn light. 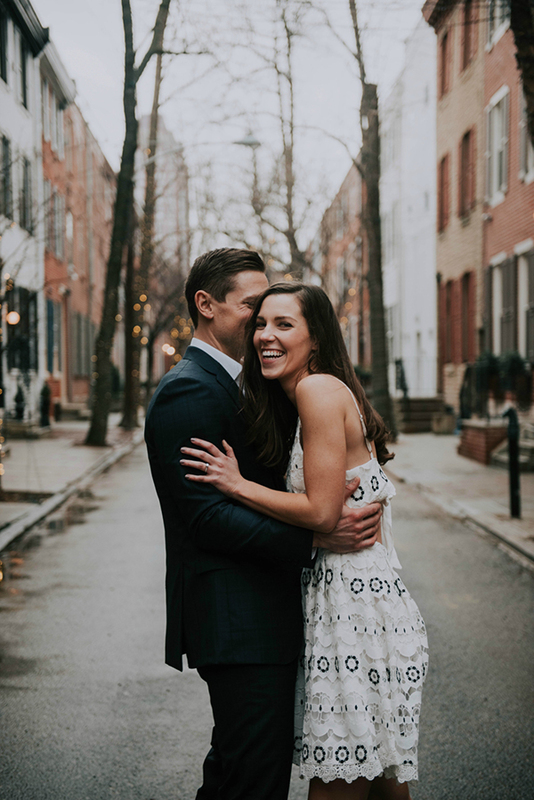 Located in Rittenhouse Square, the 1900 block of Delancey Street offers picturesque views of Philadelphia that are perfect for engagement photos. Many of the brick homes were built in the 1800s, bringing charm and history to photos. 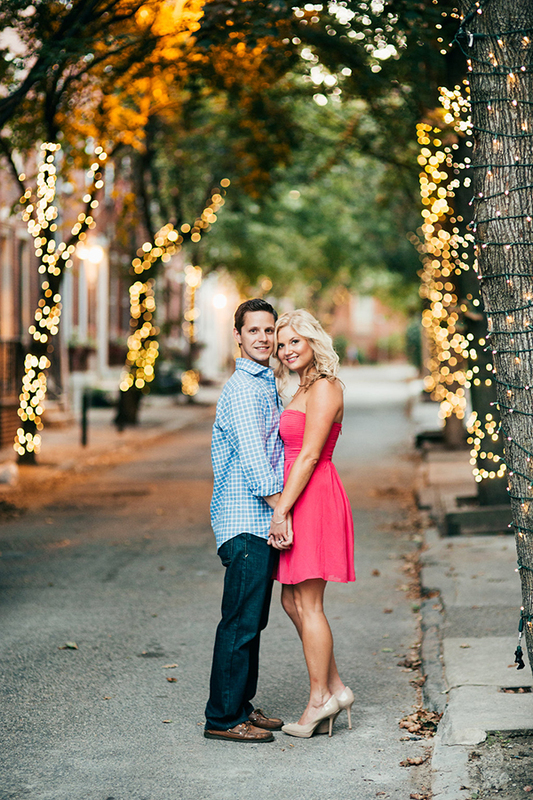 If you love Philadelphia, Delancey Street is the ideal locale for your engagement photoshoot. Looking for that small town feel in the big city? The 1700 block of Addison Street is just the ticket for your engagement photos. Beautiful trees donned with string lights that line the street provide the perfect amount of twinkle to your photos. This street is especially dreamy during the snow covered holiday season. It is perfectly picturesque! Did you take engagement photos on one of these beautiful streets? If so, we would love to see them! Contact us today!